My Chinese name is 邱敦. I am a 5th year PhD student in Math Department in UCSD. I am advised by Jeff Remmel and Brendon Rhoades. My research area is enumerative combinatorics and algebraic combinatorics. 2014 - Now: PhD in Mathematics, UC San Diego. 2010 - 2014: B.S. in Mathematics, Zhejiang University. Office Hours: Thu. 11 a.m. — 1 p.m.
My research area is enumerative combinatorics and algebraic combinatorics. The field of algebraic combinatorics is interested in analyzing algebraic structures using combinatorial methods such as generating functions, bijections, etc. My primary interest in algebraic combinatorics is the combinatorics of symmetric functions and Macdonald polynomials , with a focus on the Rational Shuffle Conjecture and the Delta Conjecture, which study the relations between combinatorial objects such as parking functions and the Frobenius Characteristic of some algebraic structures such as diagonal harmonics. They are also natural generalizations of the $(q,t)$-Catalan combinatorics. The field of enumerative combinatorics deals with counting combinatorial objects. My primary interests in enumerative combinatorics are permutation patterns and ordered set partition enumerations. (Fall 2017) Math 3C: Precalculus, UCSD. Course website. (Spring 2019) Math 152: Data Mining, UCSD. Course website. (Winter 2019) Math 152: Topics in Data Science, UCSD. Course website. (Fall 2018) Math 109: Mathematical Reasoning, UCSD. Course website. (Summer II 2018)Math 20D: Introduction to Differential Equations, UCSD. Course website. (Spring 2018) Math 184A: Combinatorics, UCSD. Course website. (Winter 2018) Math 190: Introduction to Topology, UCSD. Course website. (Winter 2018) Math 202B: Applied Algebra II, UCSD. Course website. (Spring 2017) Math 152: Game Theory, UCSD. Course website. (Winter 2017) Math 184A: Combinatorics, UCSD. Course website. (Fall 2016) Math 184A: Combinatorics, UCSD. Course website. (Summer I 2016) Math 20B: Calculus for Science and Engineering, UCSD. Course website. (Summer I 2016) Math 20E: Vector Calculus, UCSD. Course website. (Spring 2016) Math 152: Game Theory, UCSD. Course website. (Winter 2016) Math 20F: Linear Algebra, UCSD. Course website. (Fall 2015) Math 184A: Combinatorics, UCSD. Course website. (Spring 2015) Math 10A: Calculus, UCSD. Course website. (Winter 2015) Math 20C: Calculus and Analytic Geometry for Science and Engineering, UCSD. Course website. 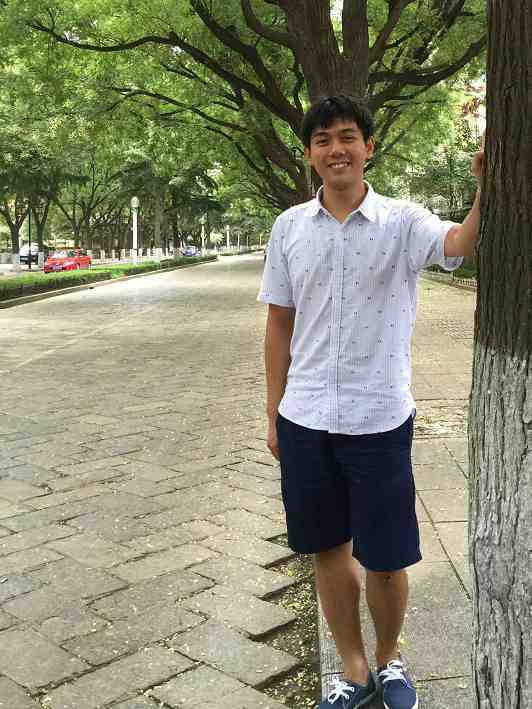 I am an organizer of Project P, which is a combinatorial problems page started by Ran Pan in Februray 2015. I like music compositing and arranging. I like designing combinatorial games.